​Joan Lawson is a director, costume designer and arts administrator. ​Stephanie N. Walters is a proud member of Actor’s Equity Association, emerging playwright and teaching artist. Stephanie is a founding member of Philadelphia Asian Performing Artists. Credits include Walnut Street, Delaware Theatre Company, InterAct, and Orbiter3. She is a first-year member of The Foundry. Her writing has been showcased at Dragon’s Eye Theatre, Future is Female Festival, Philadelphia Women’s Theatre Festival, Philly Improv Theatre. 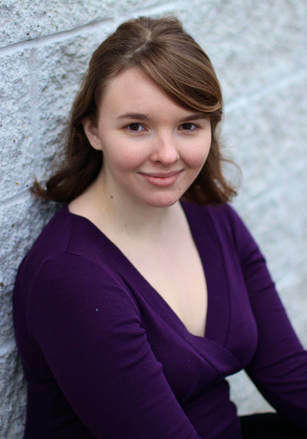 Stephanie is a graduate of Bucknell University, London Dramatic Academy, and CAP21. ​Love to Nan, Owen, and Melissa. Stephanie N. Walters: The opportunity to collaborate with other female artists. Joan Lawson: The chance to work with new collaborators. ReVamp: What vision are you bringing to the stage in your devised piece based off the source material of Grimm's fairy tale Snow-White and Rose-Red? Stephanie N. Walters: I am interested in examining what happens beyond the pages of the fairy tales we know and love. Who had a hand in their creation? Why? I intend to bring these women to life and see the Brothers Grimm reborn. Joan Lawson: I'm interested in looking beyond the idea of "Happily ever after". In the original story you have two adventurous heroines whose stories come to such an abrupt halt with very out of character endings. I hope to explore what happens when they control the adventure. Stephanie N. Walters: The pillars of my artistry are laughter, curiosity, and whimsy. I believe these to also lend themselves to the fairy tale world. Joan Lawson: Fairy tales made up the majority of my childhood reading list. They can play such a large part in informing how we see the world when we're young, and so many of them become archetypes for the stories that we continue to tell and retell as we grow up. ​Stephanie N. Walters: Once again, men tell the story of women. I hope to flip the script, so to speak, and allow the women of this fairy tale, now grown, to write their own story for a change. Joan Lawson: The story we're telling asks the characters to grapple with some relatable questions: what do you want out of your life? Are you satisfied being who everyone expects you to be? If you could do it all over again, what would you change? Joan Lawson: To ask questions of stories, characters and audiences. ​Stephanie N. Walters: To see the world around me reflected on the stage, which is to say, give voice to the unheard. How can we change the landscape of audiences if we are not creating art that reflects their stories, struggles, and daily doings?